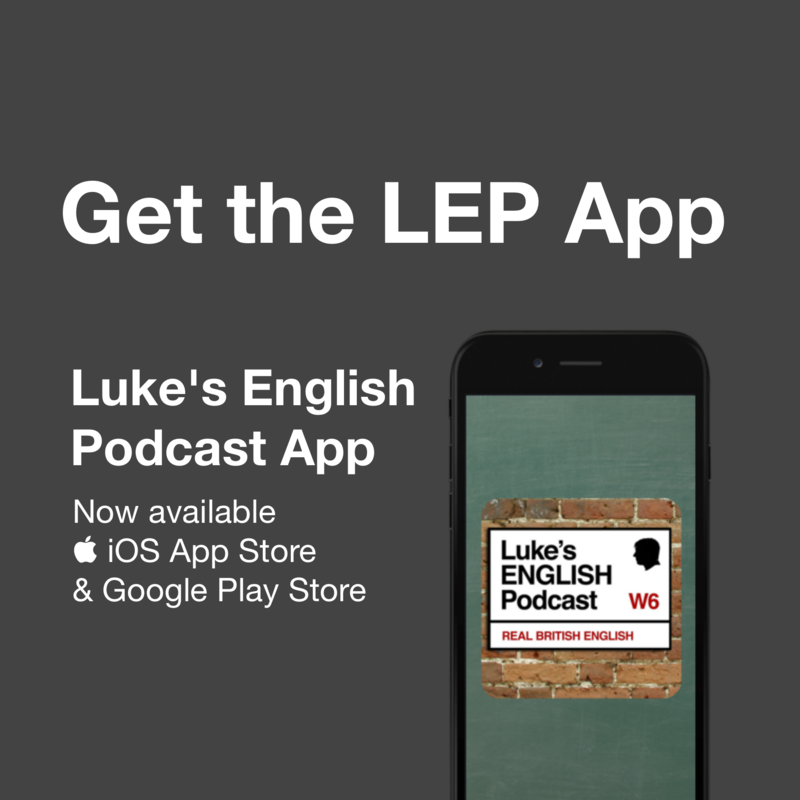 Hi listeners, I’ve got a big big slice of podcast pie for you in this episode because I’m going to talk to you about some important considerations for language learning, some ways that you can push your English to new levels with LEP, and I’m going to talk about italki, which is a really great service that you can use to arrange conversations with native English speakers online from the comfort of your own home, and why as a listener to this podcast, you should check it out. There is also a transcript for this episode already available at teacherluke.co.uk so check that out too. Now, let’s get started. First of all, hello! How are you? I hope you’re well. Here’s a new episode to listen to. I’m very glad to see that recent episodes have been popular with the LEP community. Episode 330 about Grand Theft Auto was particularly popular. I’ll have to do more of that sort of thing in the future. Have you listened to all the episodes of LEP? If not, maybe it’s because you don’t know which episodes to choose. You might not know where you can find them all. If you’re subscribed with iTunes you can access all the episodes in the RSS feed. But, I’ve recently added a new episode archive with descriptions of the content and language in each episode of this podcast. Check it out. If you haven’t listened to the back catalogue and don’t know what is contained in all those episodes, have a look at the new archive by clicking on ALL EPISODES in the website menu. You’ll find links to all the old episodes and now you’ll see that each episode is accompanied by a description of the topic and theme, including the language focus in particular episodes, so you know what to look for. There are loads of classic episodes of Luke’s English Podcast just sitting there in the archive, waiting for you to listen to them. Remember, you can download them all individually from the website, and there are lots of transcripts available too. So, if you’re ever caught waiting for new episodes – just ask yourself the question, “have I listened to all the previous ones?” They’re all there, available for you, free. More and more every day I am coming face to face with experiences of language learning. Either other people, like my students or the people who email me every day, or me – because I’m a language learner too – struggling to learn French. I’m constantly aware of our need, in this incredibly interconnected world, to speak foreign languages. For you and my students it’s English. For me it’s French. Some people don’t know how to do it. I meet so many students in language schools who know they need to improve their English, but they don’t know how to do it, so they just sign up with a language school and to an extent, they then expect us to do all the work for them. Not all of them are like that, some students do exactly the right things – but some students seem subconsciously to think that by signing up to the course and simply being in the room, that’s all they need to do. People like that tend to be the worst students because they don’t take responsibility for their own learning. It’s not necessarily their fault, because they just don’t realise that there is a better way to learn another language. Like, a lot of people don’t realise they have to connect with English on quite a personal level, regularly and for extended periods of time. It’s not just a skill to add to the CV. Learning a language has to become part of who you are. The more you put your time and personality into it, the better the outcome. A lot of people probably don’t realise that this podcast exists for example, or at least they just wouldn’t even think about listening to podcasts regularly in English, or they might listen a bit but just give up after a while because it’s too difficult. That’s a pity because I think there’s a lot of enjoyment to be had from my episodes, and from many other podcasts – I really hope so anyway because that’s what I’m trying to do with Luke’s English Podcast – I hope it’s more than just a thing for learning English, but that rather it’s something that helps you learn and which you just enjoy listening to as a human being, or not – you might enjoy listening to it as some other life-form, but I imagine most of my listeners are humans. I know I have a few dogs, and some fish listening to this, at least – but mainly, homo sapiens. Whatever you are, if you’re a long-term listener I think you’ll agree that regularly listening to my episodes will give you an edge over the people who don’t. It’s quite simple really. So, what I’m saying is – there are bad language learners and good language learners. The bad ones do things like sign up for language courses, expect that to be enough, sit in language classes, expect to be spoon fed, but don’t take responsibility for their own language learning. Good language learners know that learning a language is all about taking responsibility for your own learning, and making an effort to get some English into your lifestyle, on a regular basis, by experimenting with new ideas and new platforms. You don’t give up when it gets challenging and in fact you enjoy the whole process of doing it! I have over 300 hours of content here on this podcast – and that’s a lot of English to listen to. That’s a lot of words, a lot of grammar and pronunciation that you can hear and it’s definitely going to be a great injection of proper English into your brain. But, you and I know that listening to this and enjoying it is only part of what you could be doing to seriously push your English into overdrive. You’re probably aware that, despite listening to this, your English could still be so much better and that you’re capable of so much more. You could be more fluent, more accurate and more confident. The cool thing is that all these things are achievable, and that is more true now than ever before. You know that you can really accelerate your learning if you choose to. The power is in your hands. If you want to, you can take your English to the next level. It’s just a question of putting in the time and effort and finding ways that work for you. Here are a few suggestions for how to push your English in other ways, beyond just listening. Now, some of you might be quite content just to listen – and of course you can do that, but I would like to reach out to you here and ask you to just stop for a moment and question yourself – are you satisfied with your level of English? What more could you be doing to improve it? Here are some techniques for the motivated LEPster who wants to do more than just sit back and listen. This is really important. It allows you to not only understand the content much better, but will also allow you to notice specific phrases and then remember them over time. If you hear phrases or even grammatical structures and certain bits of pronunciation again and again, they will really stick in your memory and become part of your English. For example – I know a lot of the lines from the first Star Wars film. They’re absolutely stuck in my mind and they even come out in my speaking sometimes. How do I remember these lines so easily? Just because I’ve watched the film a lot of times – and weirdly, I even enjoy it more each time as well. In fact, having watched Star Wars a lot, I feel like it’s part of who I am now. If I’d just watched Star Wars once, I’d never remember any of the lines. There’s absolutely no way I would be able to see Star Wars once, then walk out of the cinema and quote lots of lines of dialogue after just one viewing. It took multiple views before the dialogue stuck in my head. It’s exactly the same with the podcast. Listen more than once and the language will stick much more easily. Read transcripts while I’m talking – just listen and read at the same time. You could print out the transcripts, or just read them on your phone or tablet while you listen. Reading the words while you hear them will allow you to do a number of things: it’ll help you to remember the words better because you’re not just getting an aural picture of the word, but a visual one too, and many of us have very visual memories. Words exist as physical entities in our minds – they have a shape, they have a sound, they have spelling and they have muscle memories too. By shape I mean simply the way the word looks – that means its spelling, but also just the general visual characteristics of a word – the length and other visual characteristics. Apparently, when we read we don’t just look at the individual letters and put them together, but we recognise the first and last letters and the rest is just a general shape. So, it is important to get to know the shape and spelling of words in order to keep them recorded as visual entities in your mind. Words are also sound memories – what they sound like, and muscle memories – how it feels to say them. There are many aspects of a word, and the more of those aspects you cover, the more 3 dimensional the word will be and therefore the better you will remember it. So, reading the words while listening will help to tie the visual side to the aural side. It’ll allow you to remember them better, and later on to spell them too. Repeating words or sentences will help to develop the muscle memory too – attaching that to the aural and visual pictures that you already have. You should learn words in 3D – that means listening to them and reading them. Also, reading while listening may help you to notice particular high-frequency features such as collocations or grammatical structures. If you’ve printed the scripts, you could highlight these things with a highlighter pen, or select them on a computer and record them in your own lists and check them again later. If you just want to focus mainly on listening skills, but would still like to get the benefit of having seen the words too – just separate those two things. First, listen to the episode, try to understand it, then read the script and understand more, then listen again and see if you notice a difference. You can break up the script and episodes and just focus on chunks or parts of episodes. You can print the scripts and then write notes on them as you listen, or highlight particular phrases or aspects of pronunciation. Highlighting words in scripts is good, especially if you go back and read them later, or find ways of remembering those things. Also, you can print out the script and then have fun highlighting certain words with one of those brightly coloured highlighter pens – that’s always fun isn’t it – there’s just something satisfying about using a highlighter, but remember that the highlighter itself won’t learn English for you – you’ll need to go back to those words again and again in order to really learn them. You can copy+paste words into your own vocabulary lists – then find ways of working on those lists in your free time, repeating words, testing yourself, putting them into sentences and so on. Just make sure that you’re applying some kind of process to your learning – don’t just mindlessly read through your word lists – you need to work with the words, and push them into your mind in various ways. Remember the episode I did in the past about using mnemonics and memory techniques (listen to it here teacherluke.co.uk/2014/02/05/167-memory-mnemonics-learning-english/). There are a lot of words for you to remember. You have to think outside of the box in order to keep those words in your head. You can use flashcard apps to help you do this, or just a notepad. Try to record and repeat words in sentences, not just on their own. Consider how the words interact with other words – because they do that, words – they don’t exist on their own, they are always with other words. Are there any particular collocations or grammatical features of these words – e.g. do they take a particular preposition? If it’s a noun, what is the verb that collocates with it? For example, if the word is “homework”, what’s the verb? It’s “do”. What about “housework”? (It’s “do” as well) What about the DIY (ok, that’s “do” as well – yes, all those examples take “do” as their verbs). Another consideration is the word family. What are the other words in the word family? Noun, verb, adjective, adverb forms. Are there any opposites or synonyms? Are they followed by -ing or infinitive forms? For example, the expression ‘used to’. You shouldn’t just record ‘used to’ but also ‘be used to + -ing’ and ‘get used to + -ing’. Also, try to practice producing your target words, not just recognising them. That means when you do some studying with your word lists, you should read out those words and sentences aloud, not just read them in silence. Try to avoid simply converting words from your language into English and back again. Try to do it all in English. Since these transcripts are in text form, you can do all sorts of things with the words on your computer. For example, you could create your own worksheets using the transcripts. Import the text into Microsoft Word, then gap certain words (you can select certain words and gap them all automatically), or gap random words, then print the worksheet you’ve produced, and then go back to it later and try to add the words from memory. You could remove all the punctuation and put it back in later. You could remove all the verbs and then put them back in the correct form. You could remove all the prepositions and put them back in later. You don’t have to do it to the whole text, you could just choose certain bits. Be selective about which bits of transcript you work with – for example, it would be a good idea to focus on part of an episode in which someone tells a story, or in which there’s lots of technical language that you don’t know. Be your own teacher, create your own tests and exercises. You can do that. It will help. You could take a transcript and read it out loud. Try to sound exactly like me, or just try to read out the script in a natural way, as if you were talking to real people and you had to make it interesting. You could record yourself reading the script and then compare it to the original recording of me. See the difference, and try to copy my voice. If you listen while driving – that’s the perfect time to do some speaking in private. You can use the privacy of the car to do some speaking. You could try shadowing me – that means repeating everything I’m saying while I’m saying it! Don’t do this when you’re in conversation, it’s seriously annoying (I had a few students who used to try and mouth the words I was saying as I said them – weird) but you can do it in private. Either you repeat it after I’ve said it, or you allow your mouth to vaguely follow what I’m saying as I’m saying it. A lot of audio software and podcast apps allow you to speed up or slow down episodes. Why not try listening to an episode really fast the first time round, then slowing it down. You might find that after fast listening you’re suddenly able to understand normal speaking much better. It’s a bit like training in the mountains – you let your body get used to running with less oxygen, and then when you run at a normal altitude your body is tuned and able to consume much more oxygen and by comparison you’re much stronger and faster. If you get used to listening at a fast pace, you could become an amazing listener at normal speed. Alternatively, you could listen to an episode slowly to try and focus on specific things that you missed before. The main thing is – experiment with different listening speeds – and remember, if you listen faster you can listen to more because the episodes will be shorter. Remember, you have a pause button. You can use it to pause the episode when you have a thought or idea and just say your response. Again, this will work better if you’re in private so people don’t think you’re crazy, talking to yourself. You might be listening to an episode, and someone says something and you have a response. Pause the podcast and say your response, to yourself, to your pet cat, to the wall, to your teacher, to your friend who also listens. And you don’t have to wait until a specific thing comes up. You could decide to stop every 10 minutes and summarise what has been said in the last 10 minutes, by saying it out loud. Try to use language which you’ve heard in the podcast. Imagine: you listen, and every 10 minutes in you pause, summarise and respond, then continue. That way a 1 hour podcast will also involve you summarising and responding in your own words six times. That’s quite a lot of speaking, as well as listening. 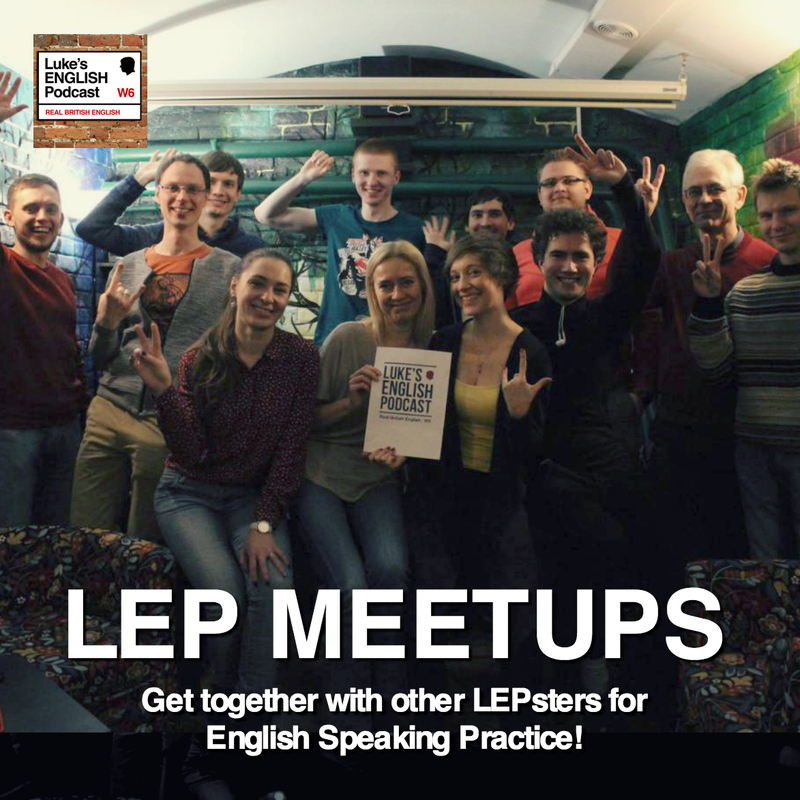 If you have a language partner for practising English, or if you have one to one lessons with a teacher, you could take inspiration from LEP. I’ve done lots of episodes with speaking games like “The Lying Game” the vocabulary games with Amber & Paul, the difficult situation role plays, the random discussion questions with my family, the bank robbery activity, the 1 minute challenge, the A to Z game and all the topics and interview questions I’ve used in episodes over the years. You could recreate speaking tasks from episodes of the podcast, in your own lessons or language exchanges. Check the pages for each episode and see if there are questions or other notes that you could use for your lessons or speaking sessions. So there I’ve just explained a few ways to be a more active listener. That’s all going to help you, definitely. Even just listening to these episodes and enjoying them means you’re certainly getting a leg up on the competition, especially those losers who don’t even know LEP exists! But being proactive and finding new ways of pushing your English with LEP is definitely going to help too. But, I haven’t mentioned the elephant in the room. This is the thing that’s missing from the whole arrangement and that I haven’t talked about, because previously it was a bit of a problem, but not so much any more. What does “the elephant in the room” mean? What’s the elephant in the room that I’m talking about? I’m talking about the fact that LEP doesn’t give you everything you need for your English. 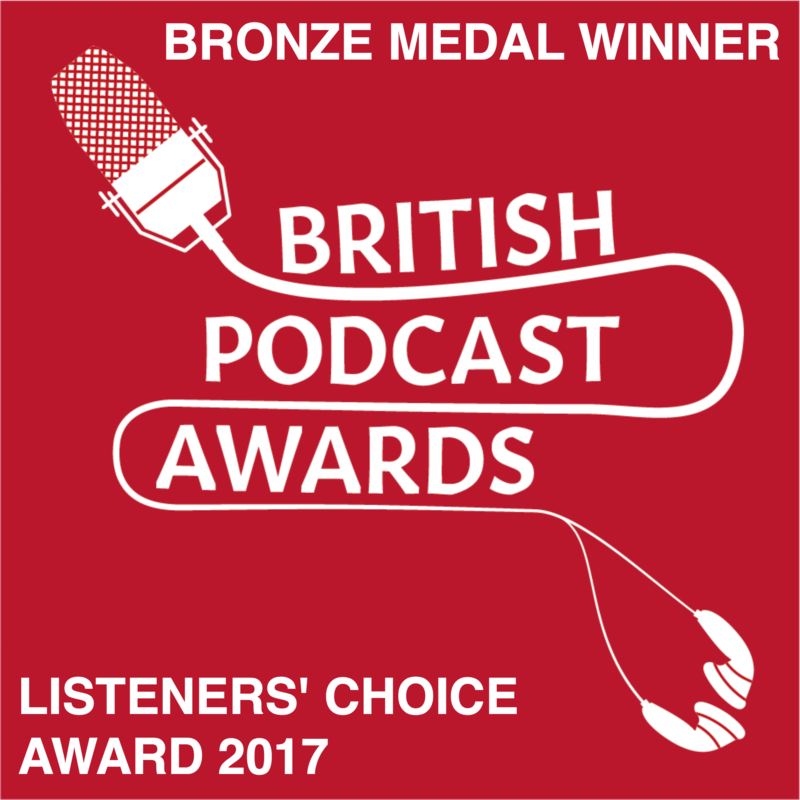 That shouldn’t be a shock of course, because I’ve always said the podcast is best enjoyed as part of a balanced diet – I mean, that you get best results by combining listening to this with other things, such as study and speaking practice. But certainly what I haven’t mentioned so far is that the podcast certainly can’t give you the one thing that you really really need to make rapid progress in English, and that’s the chance to practice speaking with native speakers. Beyond adding habits and techniques into your lifestyle and getting regular exposure to authentic English with the podcast, the best way is to push your English is to do plenty of speaking. Speaking speaking speaking – in authentic conversation with native speakers. That’s definitely the fastest way to push your fluency, accuracy and range of vocabulary, grammar and pronunciation to the level that it needs to be. Natural conversation with native speakers, hopefully teachers who understand your situation and can help you with error correction and explanations, and by listening to you more. So, I haven’t mentioned it because I’ve known that for many of you that’s just not possible, and it’s something I can’t provide through the podcast. It’s always been hard to develop your speaking skills through this podcast, and so you need to find native speakers to talk to – but as I said, that might not be possible. It may be that there are just no native speakers in your area to talk to, or if there are native speakers, it’s difficult to get to know them, even if you live in London where native speakers are much harder to find than you might expect. The same goes with teachers – there might not be many native teachers who you actually like and who can teach you regularly on a 1 to 1 basis. Now, maybe you’re lucky and you live in a situation in which you can speak to native speakers regularly. But I know that even when you live in the country of the language it’s still hard to meet the right people and find the right teachers. For example, for many students or foreigners living in London, it’s hard to make friends with local Londoners. They’re just a bit distant and tend to stick to their own little circle of friends. So, essentially – although it’s vital for your English, regularly speaking with native speakers is also one of the most difficult things to achieve, because of access or lack of choice. So, despite this lack of speaking practice, I imagine you just keep going, trying to learn or maintain your level of English as well as possible, without enough contact with natives. You listen to the podcast when you can and you love it when new episodes come out, and although you have plenty of feelings and ideas in your mind when you listen, you don’t have anyone to express them to. You might take English classes but it’s still not enough, especially if you’re in a group. You might find other opportunities to speak to natives, but it still might not be sufficient or convenient. What you really need is need a regular person – a language partner or an individual teacher who you can rely on and who knows how to talk to you as a learner of English. Someone who is available at the right time, not too expensive or inconvenient. Even me in France, I have native speakers of French all around me. I mean, I’m married to one for goodness sake! But none of them are quite suitable as a language teacher somehow. For example, my wife and I have already established our relationship in English and it’s hard to switch to French because there are just too many personal things going on in our lives and it’s not practical to speak French. Also, I don’t want her to think I’m stupid or anything (because I am pretty stupid in French). I could go on a mission to find an individual teacher or someone who’s willing to do a language exchange with me, but honestly, I’d rather just go online, browse some teachers, find someone easily and schedule some one to one speaking lessons on Skype so I can choose exactly when and where the sessions will take place (my home) and it won’t be too expensive. I don’t want the hassle of having to go out, arrange a place to meet (if its my home that means cleaning the place up) – if it’s the teacher’s home that means travelling and extending the time I have to devote to it. If it’s a public place that means putting up with the fact that strangers around me are listening to my lesson and probably judging me and my teacher. I need an online service which completely cuts through all that annoying stuff. I’ve been looking for a service like that and I’m really pleased today because I’ve found the perfect one. I can now arrange all my French lessons and conversation classes online, and do them all online via Skype and all from the comfort of my own home. There are loads of teachers to choose from. I can have trial sessions with some of them and then pick any one that I want. Then I can schedule lessons according to my timetable and I don’t even need to leave the house. Also, prices are cheaper than they would be with a teacher or in a classroom. Of course, it’s online via videoconferencing software, which is not quite as good as being in the same room, but honestly – after 10 minutes you just don’t notice it any more and anyway – communicating via Skype is the future (in fact, it already is the present). So, I have found this service and it’s called italki. The super duper cool thing is that italki is also in English (in fact English is their #1 language) and they have thousands of teachers and native speakers that you can talk to right now. Some of you might be aware of italki already, which wouldn’t be a surprise because italki is one of the fastest growing websites in the language learning sector at the moment. Either you have, or you will, because it’s awesome. Ok, so italki is an online community where you can find language partners and teachers for online lessons or conversations. It’s not a surprise really that italki is one of the fastest growing websites, because now that Skype video calls are such good quality it makes total sense to use that for connecting students and teachers, and it’s a great way to cut out the middle man, avoid having to travel long distances, and get all the benefits of individual tuition. I think it’s going to make a huge difference to the way people learn languages in the future. This basically gets around the age-old problem of having no access to native speakers. italki used to be a social network where you could find a language partner but over the last year or so it has grown a lot and they’ve just launched their new service, and it’s really smart, professional and high quality. It looks very good and loads of people are using it every day to learn languages and that includes these super motivated language learners called polyglots that speak like 10 languages at the same time. I’ve been interested in polyglots for a while and I’m in the process of contacting some of them for interviews on LEP. I’m talking about people like Olly Richards, Richard Simcott and Benny Lewis who are making a career from the fact that they speak lots of languages. Now these guys swear by italki – and if it’s good enough for them, I think it’s good enough for us, right. Some of you already use italki and you’re going – “yep Luke you’re preaching to the converted. I already use italki. Been there done that, got the t shirt. In fact that’s how I know the phrase “been there, done that, to the t-shirt” – because I religiously listen to your podcast and I practise your language on italki. It helps me remember stuff like “been there, done that, got the t-shirt”. Anyway, why are you now going on about italki so much Luke? Do you work for them now is that it? No, I don’t, but I’m happy to say that after discovering them I did send them an email and ask if they wanted to sponsor the podcast. I’ve been searching for new sponsors for ages, and italki just seemed like the ideal sponsor. 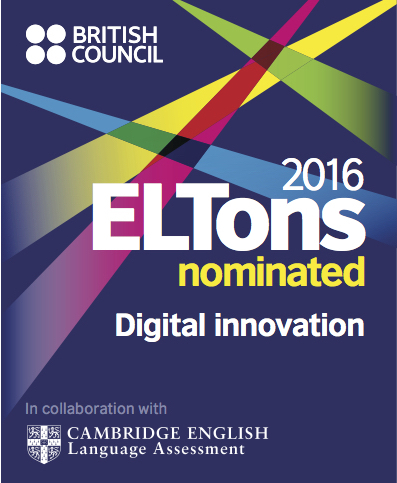 They offer a good service, for learners of English, in any country, it’s all online. They’re friendly people, it’s professional, and it’s growing fast. I’m happy to say that they responded to my email positively, and I’ve been talking to someone from the italki team and we have arranged a sponsorship deal for LEP which I am very happy about because it’s going to be mutually beneficial. Beneficial for everyone basically – you, me and italki. It makes total sense all round. You should know that sponsorship for LEP is absolutely necessary – it’s important to understand that, especially if you don’t get it. This podcast must have sponsors – it’s the only way for the podcast to keep going, and for it to stay free. I have to be able to justify spending time on this. Now, I do spend time on the podcast – I do it all myself. I could spend that time on other things that would be much more profitable. I could use all my hours doing one to one lessons with university students or business people in Paris, or on Skype and that would make me more money than I earn from LEP. But I would rather spend time on this than almost any other job, and the only way to do that, while keeping the podcast free for you, is to have a sponsor that I mention briefly in my episodes. I would rather do this podcast than work on one to one lessons or teach in language schools, and I expect you would also like me to continue doing this too. Well, sponsorship is the way I can achieve that. Also, you should know that sponsorship is absolutely the standard for monetisation for podcasts today. All the big podcasts I listen to, unless they’re done by the BBC, have sponsors. I’m glad that my podcast is popular enough to attract sponsors. It means I’m doing something right. So, sponsors are necessary for this show, and for me it’s vital to find a sponsor that offers you a quality service that can really make a difference to your English. It’s been hard to find the right company. 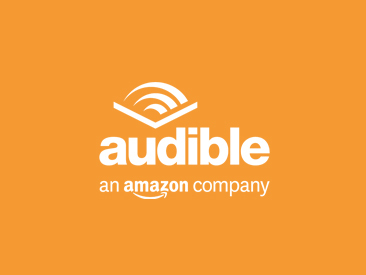 I’ve had Audible for a while now, but I’ve continued to look for other services that you might like. But I think italki are an even better service for my listeners – in a more profound way for your English. You already have a lot to listen to with LEP – in fact, Audible are a sort of competitor for me. By sticking a 15 hour audiobook in your phone I’m giving you the choice of listening to me or listening to the book – I hope you choose me first! Anyway, you already have tons of stuff to listen to – either from me or from audiobooks, but speaking to native speakers is going to be so good for your English, and that’s what italki would allow you to do. So I am really pleased that after checking out my podcast and my website the people at italki are really keen to work with me and to sponsor the podcast. So yes I have managed to secure italki as my new sponsors and I’m very happy to recommend them to you. The cool thing is that you can get free teaching time in italki if you’re an LEP listener. They’re offering all my listeners 100 lesson credits, which is about $10 of free teaching – that’s equivalent to about an hour. Just go to teacherluke.co.uk/talk to check out italki, look at some teachers, start talking to people, and you can get 1hr of free lessons too. Nice. Let me just tell you a bit more about italki and how to use it before I move on to talk more about how to improve your English. They already have over 2,000,000 language learners using the platform. You can learn pretty much any language. Of course, English is the most popular language and there are more English teachers and tutors on there than other languages. So, after going to teacherluke.co.uk/talk you sign up free, like a social network. Then you decide which language or languages you’re interested in. Let’s say English. Then you can choose to find either ’Professional Teachers’ or ‘Community Tutors’. Professional teachers are qualified to teach English as a foreign language. There are professional teachers that specialise in different skills, different types of English (e.g. business or IELTS) and they’ll guide you through the learning process. It’s just like having 1to1 lessons with a teacher in a language school or in your own home, except that it’s done using video conferencing software, like Skype. Then there are ‘community tutors’. Essentially, they’re not qualified teachers but they are educated native speakers of English who are passionate about sharing their language with you and helping you to practise communicating and developing your fluency. They’re also cheaper than the professional teachers. There are some great community tutors on italki and they’re a really really good option for those of you who need to talk to native speakers of English and have a more limited budget. In fact, I think that the community tutors could be the best thing about italki – friendly native speakers of English who are available and ready to talk to you right now, and cheaper than teachers. But it’s not just teachers and tutors, italki offers you plenty of other content too. There is a whole community of people on italki, because not only is it a marketplace for teachers, it’s also a social network for language learners. It’s a really cool place to hang out if you’re learning a language, and it’s better than other social networks like Facebook, because all the people who are on italki’s forums and blogs are motivated language learners – they’re not just there to make stupid comments and waste time like on Facebook. So, there’s the social networking side. Also, italki publishes lots of articles and blog pieces about language learning. There’s already a large catalogue of interesting and useful articles which you can access. And finally, (and this may be one of the best features of italki) you can arrange language exchanges with speakers of other languages. This is a great option for people who are on a really tight budget. There’s bound to be people out there who want to speak your language, so check out the community and look for people who speak your target language (English) and who want to practice speaking your language too. You could find some great language partners for language exchange (one of the oldest ways to get speaking practice at no cost) and in the process you can make some awesome friends around the world and just have a lot of fun while doing it. Who knows, it could be the beginning of a beautiful friendship with someone in another country. So there you have it – italki is a bit more than you might think. Now, you can talk to native speakers of English regularly, and from your own sofa, and they have tons of other services and a whole community of like-minded people. There’s a reason why italki sponsors LEP – it’s because they are the perfect service for you my listeners, and I wouldn’t promote them if I didn’t think it was useful. I realise I’m talking about italki quite a lot in this episode. I’m not going to go on about this subject a massive amount in every single episode in the future – my episodes will run as they normally do, and I’m still free to talk about whatever I want to talk about – I will just mention italki at the start of episodes or at the end too just to remind you of the offer. 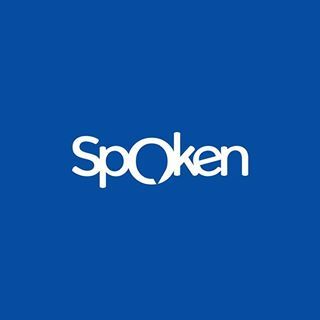 Right, so now I’ve introduced the new sponsor, let’s get back to the subject of you and your English, specifically the importance of speaking for learning English, and why being a regular listener of Luke’s English Podcast gives you a big head start if you’re going to work on your speaking skills. We know that all the areas of English are linked, so first of all improving your listening will have an effect on your pronunciation and speaking, and probably your vocabulary and grammar too. Then, following that up with regular speaking is a great combination for faster fluency and linguistic control. I’m really convinced that regularly listening to this podcast and engaging in an authentic way with the things I’m saying and the sentiments I’m expressing – either humourous, serious, mysterious, factual or whatever – is going to make a great difference. My professional knowledge tells me that’s true, but also my experience. First of all, I get messages all the time from listeners who swear that the podcast has helped them a lot – either by giving them confidence, better vocab or by generally improving their English to help get a higher score in an IELTS exam. But also, I’ve had first hand experience of listeners making progress with this. I’ve spoken to listeners a number of times and have noticed how their English has improved. I know people who started listening with next to no English, and have got to the point where they understand everything and can also speak and make themselves understood, and of course they have my accent and my speech patterns! It’s weird! By listening you’re exposing your ears to a whole other side of the English language. If you think about it, there are 2 things: English as a written language (you read it, you write it, it’s visual and physical) and then English as a spoken language (you hear it, you don’t see it, you produce it physically using your body as an instrument). They’re two different beasts. If you just work with the written version, you’re only getting half of the story. By listening you’re engaging with that other type of English – the spoken version. Spoken English has been around longer than the written version. Stories and knowledge have been transferred orally for many many years and this form of communication was around before people developed written language. Also, speaking is a very immediate and lively from of English. Spoken English takes many forms because of different accents, and is closely tied into codes of behaviour and body language. It can be much harder to understand spoken English, especially if you are used to reading all your English, and need a script of what is being said. So, regularly listening to authentic conversations can really give you an edge, certainly over the majority of people out there who have spent more time on reading and writing than on listening and speaking. If you listen a lot you can really explore the way that sounds are used to create words and how those words connect to each other, and how the whole thing is interpreted by stress patterns and intonation in the voice. English has a rhythm and an accent that you can never find in the written version. The voice is used as a delivery system for English, and it’s vital that you get to know how that works. And to do that, you just have to listen to it. Also, regular listening exposes you to so many words and grammatical structures that you start to develop an intuition over grammar, and that’s the best situation to be in. You know the answer is right because it just feels right after having heard that particular phrase or prepositional collocation many times already. It just feels like the right answer, but you don’t have the rule. Now you’re thinking like a native speaker. The rule doesn’t matter – all that matters is that you’re familiar with the right kind of English. Listening to the podcast regularly is a great way to work on those things. But speaking is absolutely vital, especially if you want to make fast progress and become a good communicator. That requires some practice and a positive attitude. The good news is that if you’re a regular listener to this podcast you have a head start, because having this podcast as a platform you can really push your spoken English further and faster. In fact, as well as giving you a foundation of passive knowledge from listening this podcast can give you lots of inspiration and information which you can use to push your speaking. First of all, you’re already interacting with the language in its spoken form by listening a lot. Your brain is already used to listening. This should make it much easier to then respond by speaking yourself. In fact, by listening and thinking, you’re already engaging the part of the brain involved in spoken communication. You’ll be more familiar with accent, rhythm and intonation and so it’ll be far less foreign for you to produce those sounds that you know quite well. In terms of topics and ideas, hopefully the conversations and topics that I cover in this podcast are exactly the sorts of topics that you could talk about in speaking lessons or conversations that you might have – and I’m assuming you’re considering working on your speaking for a bit. In your lessons you could use topics or activities that you’ve heard in this podcast. I think it’s time to activate the passive English which you have in your possession. I’m glad about that because I think my podcast club, my LEPSters, ninjas, jedi knights, followers or whatever are my special team and I’m glad when you get a head-start in something. I think that people who want to improve their speaking (and I meet them all the time) and who HAVEN’T listened to this, are definitely at a disadvantage. Imagine starting conversations in English when you haven’t listened to any episodes of this or any other podcast. It would be like starting all cold, with no English on your mind, and no sense of how to create spoken discourse or understand the person you’re talking to. It would be like starting from scratch. So, hopefully my podcast is like lubrication for your brain, or brain training – to keep yourself fresh and ready for action. And you should activate that English as much as possible for quicker progress. Just in case you weren’t convinced of the importance of speaking, here are some reasons why it’s a good idea to focus on using speaking as your way of mastering communication in English, alongside regular listening. First of all, top language educators and examiners like the British Council, International House and Cambridge University all stress the importance of speaking skills for achieving anything in English and this is reflected in the courses offered by those institutions and the way they run their courses, with many of these top schools putting a lot of emphasis on speaking and communication skills work in their lessons. It’s generally well known that speaking skills in English are learnt most quickly through engaging in communication activities directed by teachers in which you can really improve your spoken fluency through practice and feedback. Also, any Cambridge exam involves a speaking test which is worth at least 25% of your mark. Improving your speaking also has knock on effects in other areas. It can help you to tune your ear while listening, improve your vocabulary and grammar and also feed into your writing, which can become faster and more expressive. The fact that it is instant and dynamic makes speaking a faster way of working on your English. • Ability to inform, persuade, and direct. Business managers, educators, military leaders, lawyers, and politicians, among others, seek to develop their speaking skills to such a level that they are transformed into Jedi master communicators. (OK, he didn’t write Jedi masters, I added the word Jedi) Speaking clearly and confidently can gain the attention of an audience, providing the golden opportunity for the speaker to make the message known. Wise is the speaker who gains and then holds the attention of an audience, with well-chosen words in a well-delivered presentation, forming a message that is effective, informative, and understood. • Ability to stand out from the rest. When one thinks of speaking skills, one tends to think of it as a common skill. Think again. The ability to stand before others and speak effectively is not an ordinary ability. Many people are deathly afraid of public speaking; others have little ability to form thoughts into sentences and then deliver those words in a believable way. The bad news is that at any given moment the world has precious few with the speaking talents of, say, Winston Churchill or John F. Kennedy. The good news is that a speaker whose skills are honed and developed with constant application and hard work can stand out. • Ability to benefit derivatively. Well-developed verbal skills can increase one’s negotiation skills. Self-confidence is improved. A growing sense of comfort comes from speaking in front of larger and larger audiences. A reputation for excellence in speaking can accrue over time, thereby imparting a certain credibility to the speaker. • Career enhancement. Employers have always valued the ability to speak well. It is, and always will be, an important skill, and well worth the effort in fully developing. This is especially evident when talking about English as a second language. I can add a few other things: developing relationships – good speaking skills give you confidence which helps to install a feeling of trust into your relationships. You can truly be yourself, and this is very charming indeed. In fact, a confident, charming speaker of English from another country, speaking with a slightly different accent can be very seductive to native speakers of English – I might hasten to add that speaking good English will not just open doors, it could open legs too(if you know what I mean). OK, so there it is. I hope you’re feeling fully motivated and ready to push your English onwards and upwards. Don’t forget to check out italki and have a look at some of the qualified teachers and native speakers who can either give you lessons or give you conversation practice. 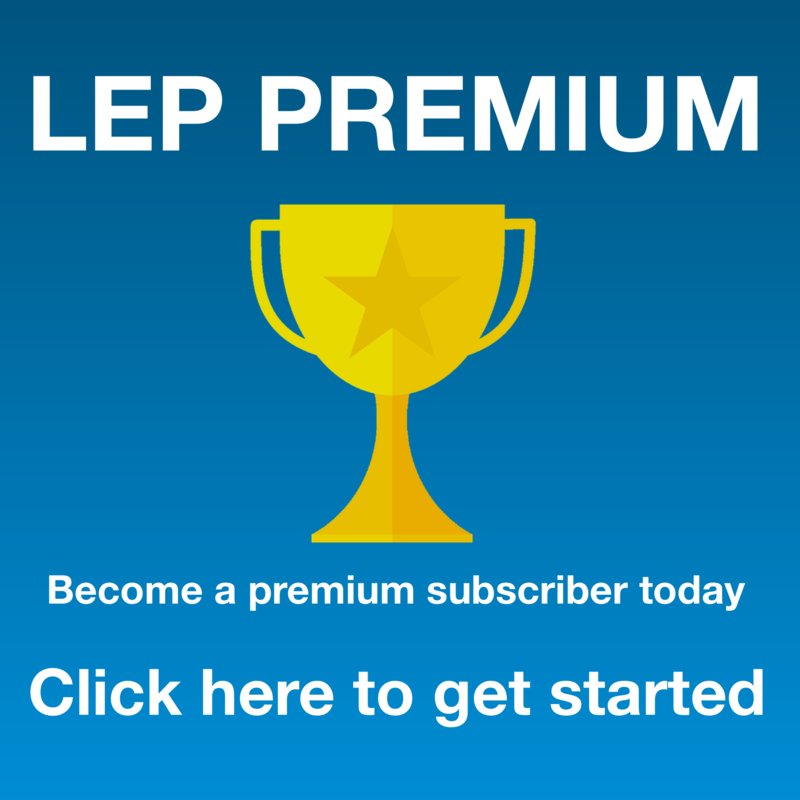 Remember that if you choose to buy some lessons, as a listener to LEP italki will give you 100 ITC as a discount for being a listener to LEP (italki credits) – and 100 credits is worth about 10$ and is around the price of a 1 hour session. So, you can get a your first 1hr lesson free. That discount is applied when you make your first purchase. If you don’t want to buy, that’s fine – you can just go on and check out all the different teachers and people – they’re mainly English speakers from the UK – perhaps some professional teachers living in the UK, or native speakers who with someone who are really interested in sharing their English with you. A lot of those teachers and tutors offer trial lessons at discounted prices, so you can check out a few people before you decide on your favourite. Visit teacherluke.co.uk/talk to get started. Just before we finish, I want to show you how committed I am about continuing to develop Luke’s English Podcast, and how getting the right sponsor is going to allow me to apply myself to this even more seriously than before. It’s a step towards me being able to eventually quit my job and do this full-time – something perhaps I should have done earlier. But anyway, I think you’ll agree that anything which makes it possible for me to spend time on the podcast is very good for you because you’ll get more free content and episodes that I’ve taken time to produce. So, just to convince you of my good intentions for LEP, I’ve written a list of aims for this project. Aims are things you want to achieve. It’s important to have aims – not just in teaching (any good teacher will establish aims for each lesson) but as a language learner (you need achievable aims to give your learning some structure and some reward) and as an entrepreneur or anyone who’s trying to achieve something. Aims give you achievable targets that will guide you in whatever you’re doing. You should set aims for your learning of English. Here are my aims for episodes of Luke’s English Podcast. To provide a resource of authentic native English speech for learners of English to use for improving their English. To inform my audience about methods and strategies for improving their English. To educate my listeners about the English language by explaining or providing examples of grammar. To enrich the vocabulary of my listeners by presenting and teaching natural English usage in context. To entertain my audience by producing fun and interesting content specifically targeted at learners of English as a second language. To highlight particular aspects of English (language) culture including themes about Britishness, accounts of key moments in history, politics and the arts, with a particular focus on comedy and films. To develop the communication skills of my listeners by focusing on approaches to spoken discourse and interaction with interlocutors. To raise awareness of many features of British English pronunciation and provide practice of repeating certain phrases or constructions with a focus on connected speech. To keep my audience engaged in the listening process long term, by providing a resource to help them laugh while they learn. That’s the end of this episode about learning, listening, speaking and my new sponsor – italki. I’ll be back soon with a really interesting interview with an English guy who can speak 8 languages, and plenty of other episodes on different topics. Don’t forget to go to the page for this episode at teacherluke.co.uk to read a transcript of everything I’ve said here. That’s it! Speak to you soon. Bye! This entry was posted in Advice, language, Learning, Native Speaker, News, Podcast Information, Teaching, Vocabulary and tagged discount, english, free, italki, language, learn, learning, lesson, lessons, offer, Skype, speaking, teacher, teacherluke, training on February 22, 2016 by Luke Thompson.